BIRDS OF A FEATHER: Both Saudi and Israel need to remain close in order to maintain their artificial desert fiefdoms. More importantly, both Israel and Saudi Arabia (both states are tethered to the US and Great Britain) fear and loath the concept Arab nationalism, and any secular Arab governments in the Middle East, and thus will do anything to put it down. Destabilization is good, so long as the two can divide the spoils and maintain a monopoly of force and power in the region. While Israel remains busy terrorizing the native Palestinian population, or exporting false flag terror through the Israeli Mossad, the royal pestilence, who themselves enjoy regular and frequent beheadings (see image below) inside their backward medieval wahabi Bardo, has been quietly backing their sand pirates currently running amok in Syria and Iraq, namely al Qaeda, Jabat al Nusra Front, and ISIS/ISIL/IS, as “freedom fighters” in Syria, have now joined their Zionist cousins in Tel Aviv to rid the region of the real freedom fighters of the Lebanese resistance against the Israeli occupation, Hezbollah. 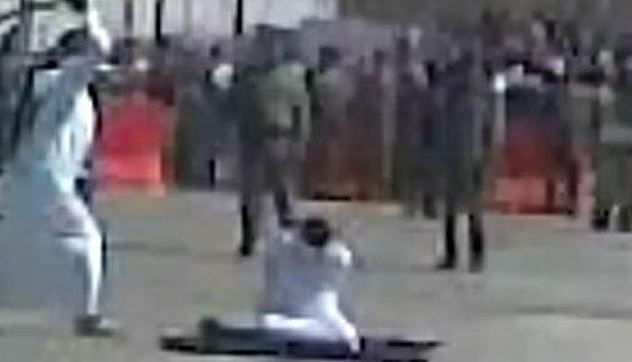 BIRDS OF A FEATHER: ISIS and Saudi share a penchant for chopping off people’s heads. Firstly Hezbollah are Shi’ite (Shia) muslims, which according to extremist Wahabi royal hegemony doctrine – are the wrong sect of Islam, or not the ‘master sect’ (sound familiar?). Secondly, Hezbollah are doing a fine job of smiting Saudis proxy militants and IS death squads in Syria and Lebanon. Lastly, like Israel, Saudi are also afraid of all things Iranian (mostly they fear any economic competition) and since Hezzbollah are allied with Tehran, and like Israel, Saudi doesn’t like any resistance to their private ambitions. Isn’t it rich of Riyadh to be crying to the UN about terrorist groups when their Empire of Sand (and oil) is one of the world’s worst sponsors of militant Salafist terrorism? Meanwhile, the US plays man-in-the-middle, brokering lucrative arms deals for both Saudi Arabia and Israel. December 28, 2014 in REALPOLITIK - The Geo-Political Chessboard.